Turkey Trot Los Angeles Finisher Medal – 2018 Design to be revealed! 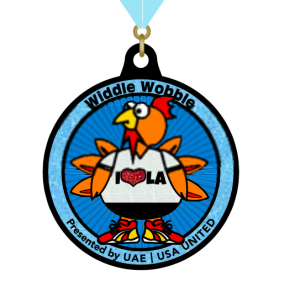 Participants that cross the finish line will get the 2018 Turkey Trot LA Finisher Medal. Award medals are given to the overall winners in the 5k and 10k. Age group awards are also given in the 5k and 10k. Please collect your award on race day, as there is a fee to mail after the race.